A ‘near miss’ reporting website, used by Merseyside Road Safety Partnership, is being updated as part of wider effort to reduce cyclist casualties in the region. ‘Collideoscope’ is a website for reporting two kinds of incident involving cyclists: near-misses in which an injury could have occurred, and actual incidents in which a cyclist, motorist or bystander was hurt. So far in 2018, 419 near-misses and 15 incidents have been reported through the website by members of the public. 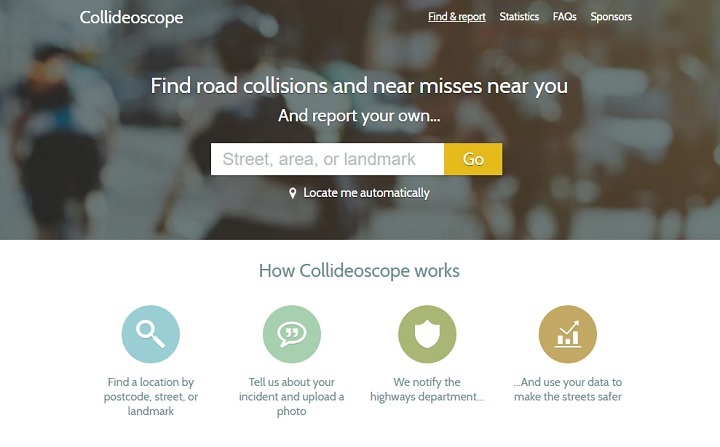 The Collideoscope refresh will be carried out by mySociety, a not-for-profit social enterprise which designs websites including the ‘Fix My Street’ reporting platform which is utilised by a significant number of local authorities. As part of the refresh, mySociety is inviting questions and input from other local authorities and road safety partnerships – with a view to incorporating the feedback into the new-look website. The Merseyside Road Safety Partnership will also be actively promoting Collideoscope to cyclists, and encouraging them to populate the site in a bid to highlight routes and locations where there is a heightened risk of collisions between cyclists and vehicles. The new website is also intended to act as a platform for the public to ask questions about new and existing infrastructure introduced by local authorities. In July 2017, the Partnership introduced a ‘close pass’ initiative in order to better protect the region’s cyclists. For more information and/or to provide feedback contact Zarino Zappia at mySociety, or John Toker at Sefton Council.